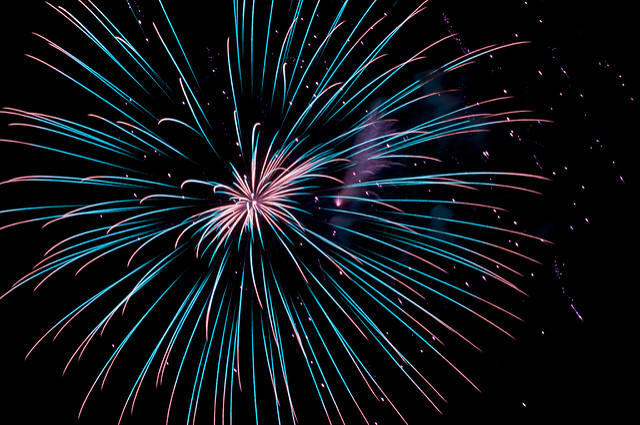 This is your complete guide to firework displays around Jacksonville. Celebrate the red, white and blue with family and friends with spectacular shows for a night you won’t soon forget. Bring your chairs or blankets and find a spot in the sand for the annual Jacksonville Beaches’ fireworks show. The fireworks will be deployed from the pier, so any spot on the beach will give you a front row seat. The show begins at 9 p.m., but make sure to arrive early to find a parking space near the pier and Seawalk pavilion. Due to the high volume of beach-goers, certain travel routes will be limited or blocked entirely to help traffic flow smoothly. To view a list of these routes view the Jacksonville Beach website. The historic downtown Jacksonville firework show will begin at 9:45 p.m. You can see the display from the Riverwalk on either side of the St. Johns River. Turn your eyes towards the Acosta Bridge for this mesmerizing display. There will be some road closures due to the high volume of traffic. Bring the family to Friendship Fountain for another great viewing spot, but be sure to get there a little early and enjoy activities for the children. Limited parking is available at the Museum of Science and History. Also part of the downtown firework show, Riverside Arts Market will be having a viewing party under the bridge. The event begins at 6 p.m. with live music, tasty treats and patriotic activities for all ages. Don’t forget about the Northbank Riverwalk, which provides a scenic one-mile path between the Jacksonville landing. Parking will be available at many local venues and prices may vary from $10-$25. For two decades, St. Augustine has been putting on “Fireworks Over the Matanzas." Lighting up the sky over the waters of Matanzas Bay, the display begins at 9:30 p.m., while the event is scheduled to begin at 6. There will be live music before the display, and the the fireworks will be choreographed with patriotic music. Visitors are welcome to line the streets and sit anywhere along the Bridge of Lions and South Castillo Drive. This historic bay front is the perfect place to celebrate America with the whole family. The bay front road and South Castillo Drive will be closed to accommodate this event. The Bridge of Lions will be closed to boat and vehicle traffic. The closures begin at 8:30 p.m. and end at 10:30 p.m.